Everton First's mission is to see the future of Everton FC secured for the current and subsequent generations of Evertonians. 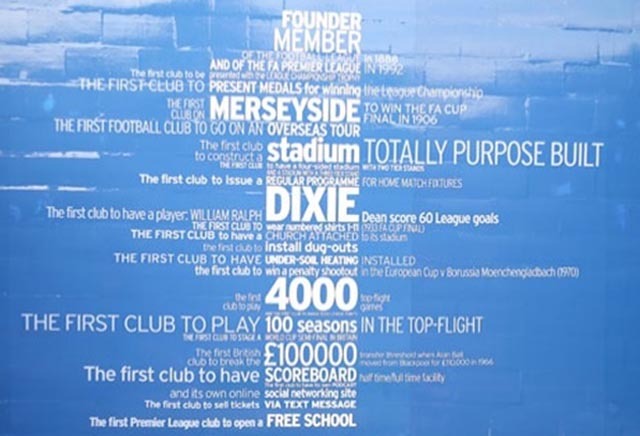 The aims and objectives of Everton First are to explore the feasibility of community ownership of the football real-estate assets utilised by Everton FC. Whether Everton First will realise its aims and objectives will depend on a number of factors. These include the development of suitable legal and financing structures, implementation of infrastructure to safely source and manage the significant funds required to make the purchase(s), and engagement with the club and its wider supporter base. To be kept informed of further developments please register by email enquiries@evertonfirst.com or follow @Everton_First on Twitter. The ‘Trust Everton’ project, which has operated under this name since its launch in February 2011, will operate as ‘Everton First Limited’ under the management of Community Football Assets Ltd. The aims and objectives of both remain the same, namely to explore the feasibility of community ownership of football real-estate assets.